Our Employer Relations team recently sat down with many of the largest financial services firms, such as JPMorgan, Goldman Sachs, and Bank of America (also referred to as bulge bracket banks) and their teams have provided updated recruiting timelines for 2020 summer internship hiring. At this time, the majority if not all, summer 2019 internship positions have been filled within the large bulge bracket banks. Which roles will be affected? The affected internship positions are listed below. These roles are also referred to as “front office” positions. “Back office positions” — such as Risk & Compliance and Technology — will most likely be filled later in the summer and into the fall of 2019. This Spring semester will be an important time for students to engage in the recruiting process. Firms will seek to recruit primarily sophomores during Spring & Summer 2019 in order to fill their Summer 2020 intern class. The diagram below illustrates this timeline throughout the whole year. *We strongly encourage you to visit firm websites for specific, up-to-date information on the process, upcoming events, and application time frame. Review LionSHARE for internship postings and upcoming events being held on campus and off campus. Look through Insider Info to learn about the bank-specific information we have gathered. Join student group list-serves & follow student group Facebook events to know when firms are on campus. Review our Finance Industry page and review our Diversity Programs page for more information on the internships. Review firm websites for up-to-date recruitment timelines and Columbia-specific events. 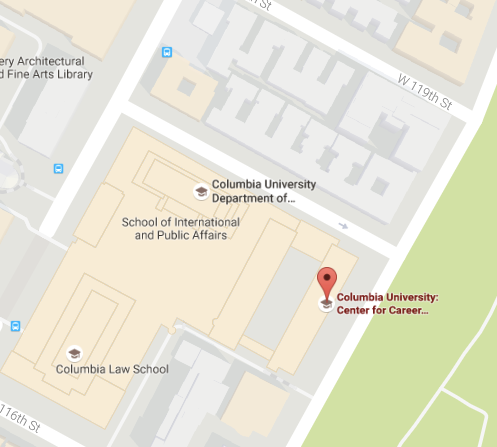 Network with Columbia alumni — make connections and ask for informational interviews via LinkedIn. You will likely have questions on how to apply and prepare your materials — and that is completely normal. We are here to support you in your internship search so stop by to connect! You can schedule an appointment via LionSHARE with one of our career counselors to review your application documents and discuss your plan for applying or stop by Quick Questions Monday through Friday 1 pm — 4 pm. In addition to the bulge bracket opportunities described above, LionSHARE is an excellent resource for internship and full-time job postings with other finance companies and across a variety of other industries. We encourage you to fully incorporate LionSHARE into your search process.